Queenie Padilla defends father Robin Padilla from netizens criticizing him for scolding a Korean contestant on Pilipinas Got Talent: "They both meant well. I think we should define this situation how it ended, not how it started." Queenie Padilla, 25, has entered the fray. Queenie defended her father Robin Padilla, 48, following a backlash from netizens dismayed by his treatment of a Korean contestant in the January 13 episode of Pilipinas Got Talent. On Wednesday, January 17, Queenie posted on Instagram a screenshot of Robin hugging Korean contestant Kim Jiwan. In the caption, she pointed out that the brief tension between Robin and Jiwan died down when the two of them arrived at a compromise. Queenie wrote (published as is): “Calling my father a racist, is wrong. “My father called Ji-Wan ‘anak’ and hugged him. Is that an act of racism? “I know Ji-Wan may have meant well and may have been nervous but I think that’s where my dad got offended. “That in itself is disrespectful whether or not my father is who he is, Ji-Wan is younger than him. “We should show respect to our elders. ROBIN AND KOREAN'S MAGIC TRICK. 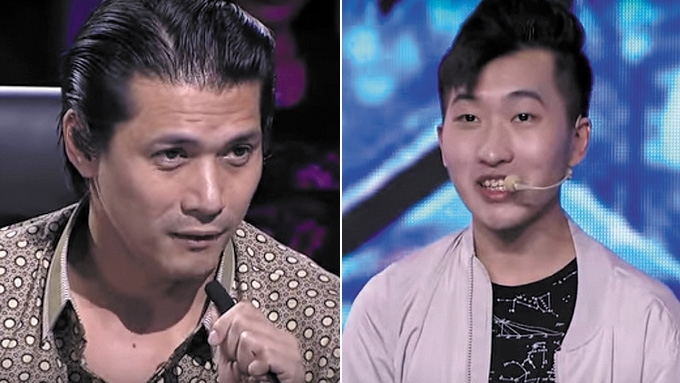 Looking at the January 13 episode of Pilipinas Got Talent, we can see that Robin initially did not want to join Jiwan perform his magic trick. At this time the Korean contestant had admitted he could not speak Filipino although he has lived in the Philippines 10 years. Robin actually said much more. All of which put the Korean national under a withering spotlight. Netizens felt that this was undeserved humiliation for an unknown Korean boy by a well-known veteran star, who just happens to also be a judge on the show the Korean is a contestant in, and on national television yet. 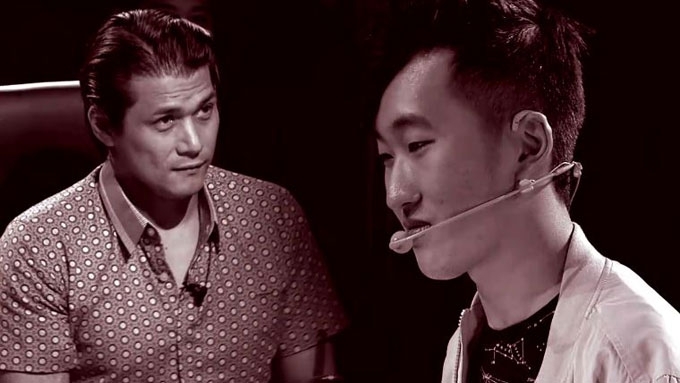 Robin, who would end up impressed by Jiwan’s magic trick, eventually agreed to participate, with PGT co-judge Angel Locsin, to help Jiwan perform his magic trick. Jiwan, for his part, did make an effort to speak in Filipino. Jiwan, it must be understood, studies in an international school in the Philippines, where Filipino is not the medium of education. RACIST IS NOT THE WORD. In the continuation of Queenie's Instagram post, she wrote that it is not fair for netizens to be so hard on her father, when the Korean contestant's form of address, she felt, was partly at fault. Queenie added, “As for my father, the tone of my dad may have been harsh towards Ji-Wan but that’s the way my father is, even when he is disciplining us [his children]. “It’s not because my dad is hating on him, my dad just expected more from him since, he grew up in the Philippines. QUEENIE TO BASHERS: "SOBRA KAYONG ASSUMING!!!" In a separate Instagram post yesterday, January 18, Queenie had more to say. She showed her exchange of comments with at least one Instagram user accusing Robin of being critical of the Korean contestant when the actor couldn't discipline his own children. The Instagram user with the handle @ttracyisa wrote, "@bluerthanblue888 putak ng putak ang tatay niya di niya ma apply nga sa mga anak nia"
Queenie replied: "@ttracyisa HOY!!! Di mo kilala ang tatay ko!!! Kung alam mo lang! Wish ni Papa na magaling kami mag tagalog! Nag hire pa nga siya ng Tagalog teacher sa amin dati para matuto kami!!! "IBASH NIYO AKO WAG LANG ANG TATAY KO!!! "SOBRA na kayong mga bashers!!! SOBRA KAYONG ASSUMING!!! "PATI PA BUNSONG KAPATID KO DINAMAY NIYO PA!!!" ************** PISS OFF HATERS ???? ??? ?